A spokesman from the Minnesota Democratic Party has been suspended for calling for violence against Republicans- such an ill-timed and insensitive remark to make in light of the fact that two GOP candidates were assaulted in politically-motivated attacks. Davis wrote that Democrats “would bring Republicans to the guillotine on November 7, a mere day after the midterm election. Minnesota Republican Party chairman Jennifer Carnahan feels, however, that the penalty handed by his party to Davis was nothing but practically a slap on the wrist, a token punishment given the severity of the offense. Camahan thinks that no less than immediate firing should have been meted out against Davis, especially in light of the aftermath of the recent separate attacks against Republican candidates. 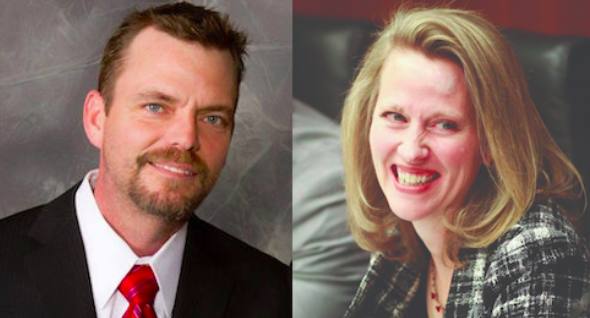 The threats from Davis and his subsequent suspension come just days after Minnesota state representative Sarah Anderson was punched in the arm after she confronted a man whom she caught destroying Republican yard signs. Anderson said worse things could have been violently done against her if she wasn’t quick enough to flee from the scene running to her car, getting in and throwing it in reverse. Another GOP candidate was attacked, first-time state-representative candidate Shane Mekeland who suffered a concussion after getting sucker punched while he was just giving a speech to his constituents at a restaurant in Benton County. He was then sitting at a high top table at a local eatery and due to the punch’s impact, he hit his head on the floor. Because of the attack, Mekeland suffered memory loss. His doctors tell him he will have need four to six weeks recovery time. Authorities are currently still investigating the attacks on Anderson and Mekeland.